I've done alot of things I'd like to think I wouldn't do again. And though I'm young, I'm old enough To know someday I'll die. And to think about what lies beyond, Beside whom I would lie. I'd want a grave amongst Soldiers when at last death quells my voice. with all the flaws, Who goes, though scared, and dies. They fought because their fathers and Their fathers had before. But bury me with men like these; They faced the guns and died. It's funny when you think of it, The way we got along. I didn't even like them all; I'm sure they'd all agree. Yet I would give my life for them, I know some did for me.. So bury me with soldiers, please, Though much maligned they be. Yes, bury me with soldiers, for I miss their company. We'll not soon see their likes again; We've had our fill of war. But bury me with men like them till someone else does more. 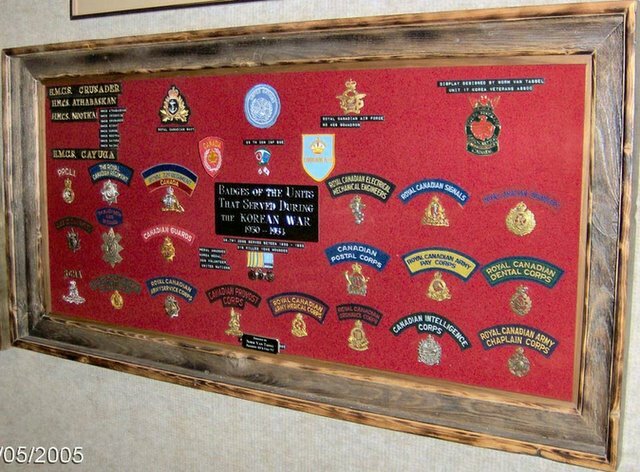 Prior to the 1998 KVA Convention held in Winnipeg, a committee was set up to request the Provincial Government at the time to have Geographical Markings for our Manitoba Veterans that lost their lives in Korea. Norm Van Tassel was the President of Unit 17 KVA at the time and also the Chairman of the KVA National Convention which was being held in Winnipeg, Manitoba. Norm and his committee obtained permission and help from the Federal and Provincial Government and the task was completed by the 12 of Sept 1998. At this time we also unveiled the Cairn at Brookside Cemetery and Certificates of an island, lake or another geographical marking named after those from Manitoba that lost their lives, were presented to the next of kin at the unveiling. Manitoba can be very proud of the accomplishment of that committee and we also need to thank all levels of Government for their support and assistance to complete this wonderful project on behalf of our fellow servicemen that lost their lives during the Korean War. There is more on the dedication of the Cairn and other dedications (scroll down). 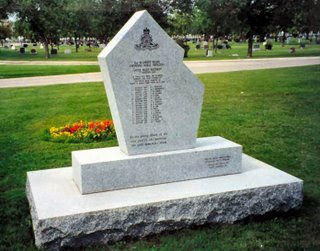 These pictures were recently taken from the book "A Place of Honour" Manitoba's War Dead Commemorated in its Geography. It was published in 2002 and it lists the names of those from Manitoba that were killed in the 2nd WW, Korea, the Canoe River Train wreck and Peacekeepers from Manitoba. 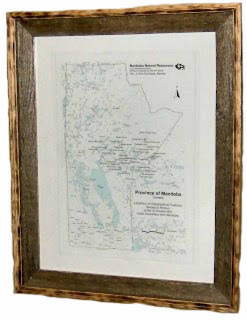 They have been given the honour of having a lake or an island named after them in the Province of Manitoba. We hope to have clearer pictures presented to the person doing the grave markers in Korea, in order for them to insert a picture of our fallen hero's that are at rest in Busan, Korea. I will also try to improve on this page . Listed are those 17 Gunners from Shilo Manitoba that lost their lives in the Canoe River Train Wreck on the 21 Nov 1950 one was from Manitoba - Gnr Wright from Neepawa Manitoba. The Manitoba Government has also named a lake after Gnr Wright. Two passenger trains collided While rolling on their way. And no one thought this journey Would be their fatal ride. He thought the man just waving... And the signal was in vain. When this disaster happened All thoughts of joy did cease. For them all their loved ones This day we'll kneel and pray. Seventeen soldiers will be honoured as in some foreign land. They died for King and Country While going to make their stand. Time will help to ease the pain But in dreams they'll never part. Mr Fred Miffin attended the unveiling of the Korea Veterans Cairn at Brookside Cemetery 27 Jul 1998 and we thank him and his government for their support. Ambassador from South Korea to Canada giving thanks to the families of the 37 soldiers from Manitoba that were killed in Korea, receiving plaques. The Manitoba soldiers killed in Korea were honoured by having lakes and islands named after them, courtesy of the Manitoba Government. At this time we were the only Province in Canada to do so. A vote of thanks goes out to Gerald F Holm B.Sc & Des Kappel of Natural Resources Surveys and mapping Manitoba Geographical Names Program for helping to put a lasting impression of what our veterans did in Korea. There were 800 people in attendance for this weekend Convention in Winnipeg. We thank Norm Van Tassel President of Unit 17 KVA who was also the Convention Chairman and all the hard working people he had working with him to make this a successful event. 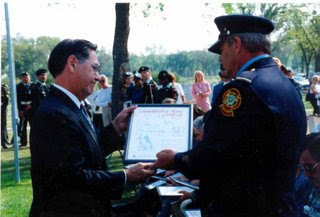 Gerry presenting Certificate of Geographical Markings of a Lake named after a Manitoba Soldier Killed in Korea to the next of Kin. 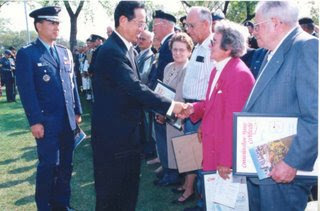 In total 37 were honoured on this day by a representative of the Federal Government, the Minister of Veterans Affairs, The Ambassador to Canada from South Korea, the Provincial Government and the city of Winnipeg. See names listed below. 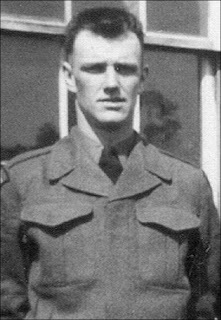 Cpl Black was from Russell, Manitoba ,he served with the PPCLI and was killed on 14 Nov 1951 at the age of 25 and is commemorated at the United Nations Cemetery in Busan, South Korea. Walter Black Lake is (53 M/10), southwest of Stupart Lake was named after this Korean War casualty in 1998. Pte Bruce was from Gladstone, Manitoba and served with the RCR. He was killed on the 23 Oct 1952 at the age of 25 and is commemorated at the United Nations Cemetery in Busan, Korea. Bruce Peninsula (53 E/13) in Stevenson Lake was named after this Korean War casualty in 1998. Pte Brydon served with the PPCLI and died on the 8 Oct 1951 at the age of 24 and is commemorated at the United Nations Cemetery in Pusan Korea. According to his sister 29 Aug 1998 he was born in Roblin in 1929, received his grade 12 in Roblin and then worked in the Roblin Creamery. Brydon Island (53 M/5) in Utik Lake was named after this Korean War casualty in 1998. Bob was too young to serve in World War II and felt somewhat cheated by that. When the Korean Special Force was formed, he saw it as his chance to serve his country in the same way his Father had done in World War I and two brothers in World War II. He was accepted into the Royal Canadian Horse Artillery and took his basic training at Camp Shilo. Bob was a native of Foam Lake, Saskatchewan. After his schooling, he decided to go to Flin Flon to work and enjoy the great outdoor activities it offered. He was an ardent fisherman and thrilled at landing a big pike or pickerel. It's fitting that a lake has been named in hin honour. He spent many a winter night at the curling club and helped newcomers to the gaame in any way he could. Bob had time for anyone who wanted to get something off their chest and did all he could to help them through any problems they had. He had an uncanny knack for making friends. Bob's untimely and tragic death at age 22 cut short his desire to serve his fellow man. His spirit has been an inspiration to those who survived him and the lake that bears his name is a permanent reminder of his dedication to his friends and country. 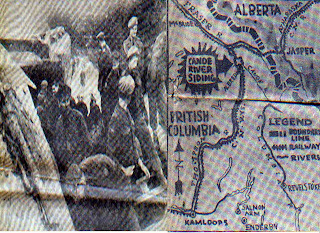 At 1035 hours, a train carrying troops of the 2nd Regiment, Royal Canadian Horse Artillery met another train, headed from Vancouver to Montreal in a head-on collision just east of Canoe River, BC. The engines and leading cars of both trains were derailed, but there were no passenger casualties on the civilian train. The leading cars of the military train were thrown down an embankment and demolished. Survivors pitched in at once to rescue their comrades, while Dr. P.J.E. Kimmett of Edson, Alberta and a civilian nurse volunteered their services. It was not until hours later that a specially organized train carrying much needed medical supplies, two doctors and eight nurses arrived. The injured were returned to Edmonton, Alberta and the uninjured to Wainwright, Alberta. Recovery of bodies was made extremely difficult; an oil fire rendered many of them unidentifiable. The final toll of dead was 17, including four soldiers whose bodies were never recovered. The remains of the other 13 were flown to the homes of their next-of-kin by RCAF aircaraft or sent by train in the case of those who lived nearby (Korea Veterans Association of Canada 1999). 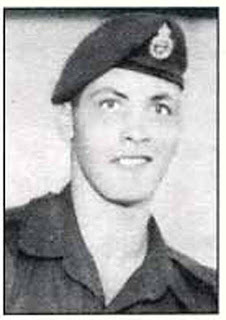 Robert Craig Lake (63 1/9), northeast of Lawford Lake was named after this Korean War casualty in 1998. 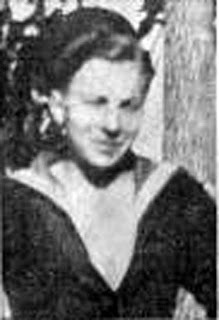 Pte Crompton was born in Brandon, Manitoba. He served with the PPCLI and died on May 1953 at the age of 26 and is commemorated at the United Nations Cemetery in Busan, Korea. He was the fifth of the eight children of John and Edith Crompton (Nee Purley) of Brandon, Manitoba and was survived by his wife Emile Crompton of Portage La Prairie. Crompton Lake (53 N/3) south of White Goose Lake was named after this Korea War casualty in 1998. Dear Mom, Dad and Kids: How are you all? I am fine except for a cold which is very easy to catch here because of the humidity and cold at night. It rained for a while, but now the sun shines again. I was glad to read your letter yesterday. Mom, it really helps our morale to get news. I'm glad to hear Dad is fine and still working...also Julie working at the Manitoba Telephones. That's nice, Julie, I hope you keep this job. Oh yes, I received a letter from your boyfriend and I forgot what his address is, but would you thank him for me? It was very nice of him to write to me. I guess Dad will be taking his holidays soon. Well, Winnipeg certainly is a beautiful place to have a holiday. Dad, out here in Korea the sun shines bright but that is all. Mountains and valleys are all we see - no vegetation, just scrubby bushes here and there. The earth is a rusty brown colour and nothing grows around here except rice which is the Koreans' main dish. It has been fairly quiet out here except for the artillery shelling at night and machine gun fire, but we are in a reserve position now. We expect to go up on the line, which is now about two miles from where we are now, in two weeks or maybe sooner - we never know. We have over 100 Koreans working for us. They are small men but can carry 200 pounds on their backs up a steep hill. They all wear surplus olive drab uniforms given to them by the American Army. All they eat is rice and tea. The earth is poisonous here; so is the water polluted. That is why they do not grow anything in the valleys. I must get back to work now, but will write again soon. Send me Ben's address. Love to Mom, Dad and Kids. Your son Guy (30 April 1953). Desjardins Lake (53 E/14), south of Fairy Rock Lake was named after this Korean War casualty in 1998. Pte Edgley served with the PPCLI and died on the 6 June 1951 at the age of 30 and is commemorated at the Cemetery in Busan, Korea. Edgley Bay situated at (53 L/4) in Kitchi Lake was named after this Korean War casualty in 1998. Pte Adelard J of Winnipegosis, Manitoba. He served with the PPCLI and died 19 Nov 1952 at the age of 19 and is commemorated at the United Nations Cemetery in Busan, Korea. Farand Lake is situated (53 E/15), northeast of Island Lake was named after this Korean War casualty in 1998. 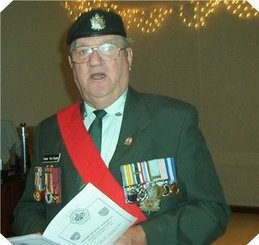 Rfn FERLAND served with the Queens Own Rifles of Canada. He died 31 March 1954 at the age of 20 and is commemorated at the United Cemetery in Busan, Korea. He was survived by his wife and their daughter. Ferland Lake situated at (63 I/8), south of Robinson Lake was named after this Korea War casualty in 1998. Pte Garand of Dunrea served with the PPCLI. He died 19 Nov 1951 at the age of 21 and is commemorated at the United Nations Cemetery in Busan, Korea. He was one of 15 children of August and Rosanne Garand of Dunrea, Manitoba. Garand Peninsula is situated (63 P/5) in Paint Lake was named after this Korean War casualty in 1998. Pte Gladu of St Boniface, Manitoba served with the PPCLI and died on the 3 April 1951 at the age of 19 and is commemorated in the Unite Nations Cemetery in Busan, Korea. According to a cousin (27 Nov 2001) Leo began his life as a underprivileged child born in a poor prairie family. His mother died when Leo was a young boy. Leo spent his young life looking for challenges and new adventures. He led a colourful life and while still a teenager, attempted to travel as much as possible. Leo sought to combine his desire to travel with his quest for adventure by joining the Canadian Armed Forces. His life was cut short while on duty serving his country during the Korean War. Even in death Leo was a blessing to his family. He provided financial assistance to his father via his military pension. Gladu Lake situated at (63 P/2), north of Wilkins Lake was named after this Korean War casualty in 1998. Pte Gosselin of La Broquerie served with the RCR. He died 22 Jun 1952 at the age of 23 and is commemorated at the United Nations Cemetery in Busan, Korea. 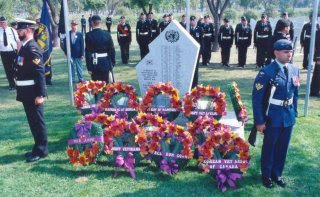 Gosselin Bay is situated at (63 P/2), in Herman Lake was named after this Korean War casualty in 1998. Pte Hall served with the (RCAMC) Royal Canadian Army Medical Corp. He died 4 Jan 1952 at the age of 21 and is commemorated at the United Nations Cemetery in Busan, Korea. Reginald Hall Lake situated at (53 L/16), north of Gods Lake was named after this Korean War casualty in 1998. 800265 Pte HANSEN, Alfred E.R. Pte Hansen of Spear Hill served with the PPCLI. He died 26 Feb 1951 at the age of 23 and is commemorated in the United Nations Cemetery in Busan, Korea. He was the youngest son of Neils and Marion Hansen. Alfred Hansen Lake (53 L/4), southwest of Bolton Lake was named after this Korean War casualty in 1998. L/Bdr Helman of Carman, Manitoba died 25 April 1953 at the age of 20 and is commemorated in the United Nations Cemetery in Busan, Korea. Helman Lake (63 0/1), east of Halfway Lake was named after this Korean War casualty. Pte Lavallee of Portage La Prairie served with the PPCLI. He died on the 19 of Jul 1953 and is commemorated at the United Nations Cemetery in Busan, South Korea. Henry Lavallee Lake (63 P/6), north of Landing Lake was named after this Korean War casualty in 1998. H 800276 LCpl LETKEMAN,Theodore N.
L/Cpl Letkeman of Winnipeg served with the PPCLI. He died 7 March 1951 at the age of 24 and is commemorated at the United Nations Cemetery in Busan, South Korea. The first time he enlisted, his mother had him released because he was underage. Letkeman Lake (53 E/16, east of Krolman Lake was named after this Korean War casualty in 1998. SH 4943 Pte MAJOR, William J.
Pte Major "Wilfred" of Winnipeg served with the Royal 22nd Regiment. He died 19 August 1952 at the age of 18 and is commemorated at the United Nations Cemetery in Busan, South Korea. Major Island (63 P/9) in Dafoe Lake was named after this Korean War casualty in 1998. H 800030 Pte McPHAIL, Walter C.
Pte McPhail of Selkirk served with the PPCLI. He died 19 March 1951 and is commemorated at the United Nations Cemetery in Busan, South Korea. He was survived by his wife Lovina McPhail of Selkirk and their son. McPhail Island (53 E/16) in Island Lake was named after this Korean War casualty in 1998. SH 13071 Spr MORRIS ,W.
Spr Morris of Winnipeg served with the Royal Canadian Engineers. He died 12 June 1952 and is commemorated at the United Nations Cemetery at Busan, South Korea. He was survived by his wife Lillian Margaret Morris (nee Murray) and their four children. A daughter visited his grave in 1994. Morris Rapids (53 L/4) in the Nikik River was named after this Korean War casualty in 1998. SH 62331 Tpr NEUFELD, Leonard G.
Tpr Neufeld of Winnipeg served with the Lord Strathcona's Horse. He died 20 August 1952 at the age of 25 and is commemorated at the United Nations Cemetery in Busan, South Korea. He was the son of David G. and Susan Neufeld and the brother of John R. Neufeld (previous entry). 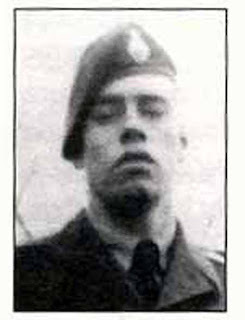 Leonard Neufeld Lake (53 L/11), south of Munro Lake was named after this Korean War casualty in 1998. (53 E/16) in Island Lake was named after this Korean War casualty in 1998. ZD 3813 Lt PAILLE, Albert E.
Lt Paille of La Salle served with the Royal 22nd Regiment. He died 21 October 1951 at the age of 24 while on night patrol and is commemorated at the United Nations Cemetery in Busan, South Korea. 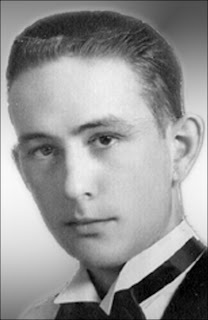 He was one of the six children of Francois-Xavier and Blanche Paille of La Salle. His brother writes (16 November 2001): Albert was born at LaSalle 16 Nov 1926. 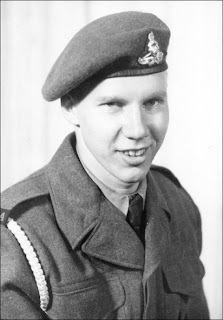 He graduted with a Bachelor of Arts degree from the University of Manitoba 22 Sept 1948, having served for four years in the COTC at Currie Barracks in Calgary. He joined the Royal 22nd Regiment in Quebec City in 1949, transferring to it's 2nd Battalion in Aug 1950. Albert served at Fort Lewis USA, then at Kure, Japan and finally Korea in Oct 1950. As a Lt he was a Plt Commander of 5 Plt B Company. He was killed by a mine that blew up while on patrol in No Man's Land with several of his men who were wounded. The blast was heard by his brother Sgt John Paille of the PPCLI who had been in Korea since 16 Dec 1950. He as buried alongside the other Canadian Soldiers in the United Nations Cemetery in Busan. He left behind two brothers and three sisters. Lac Paille (54 E/12), south of North Norfolk Lake was named after this Korean War casualty in 1998. Pte Pearson of Birnie served with the PPCLI. He died 7 March 1951 and is commemorated at the United Nations Cemetery in Pusan, South Korea. Blaine commenced his elementary schooling at Birnie, Manitoba. The family moved to Neepawa where Blaine continued his education, graduating from Grade 8 in 1946 at Central School. He was very active in sports and was awarded the Legion Trophy for Most Sportsmanlike Player in the Public School Hockey League in the spring of 1946. The family moved to Edmonton in 1950 where Blaine enlisted in the PPCLI. His regiment became a special battallion based at Winnipeg where they completed more training prior to their departure for Korea. The PPCLI was the on Canadian Regiment to receive and American Presidential Citation for their involvement in the Korean Conflict (Pittman n.d.). Blaine Pearson Lake (53 K/12) north of Sharpe Lake was named after this Korean War casualty in 1998. H 800003 Pte POLNUK, Adam E.
Pte Polnuk of Winnipeg served with the PPCLI. He died 31 May 1951 and is commemorated at the United Nations Cemetery in Pusan, South Korea. 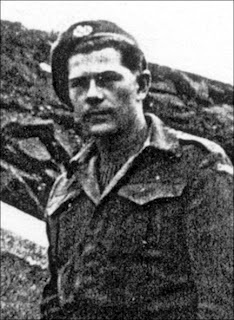 Polnuk Lake (53 J/10), south of Margaret Lake was named after this Korean War casualty in 1998. Pte Roberts of Winnipeg, Man served with the RCR. He died on 30 May 1951 and is commemorated at the United Nations Cemetery in Busan Korea. Louis Roberts Lake (53 L/13), north of Oxford Lake was named after this Korean War casualty. Pte Siha of Portage La Prairie served with the PPCLI. He died 20 Mar 1951 and is commemorated at the United Nations Cemetery in Busan, Korea. Siha Lake (53 K/5), southeast of Weber Lake was named after this Korean War casualty. Pte Small of Dauphin served with the PPCLI. He died on the 14 Jul 1953 at the age of 18 and is commemorated at the United Nations Cemetery in Busan, Korea. He was one of eight children of Milton G and Lillian Small (Nee Peck). Glen Small Lake (53 L/6), east of Joint Lake was named after this Korean War casualty. Pte Stanley of Portage La Prairie served with the PPCLI. He died on 21 June 1952 and is commemorted at the United Nations Cemetery in Busan, Korea. Stanley Rapids (53 K/10) in the Stull River was named after this Korea War casualty. 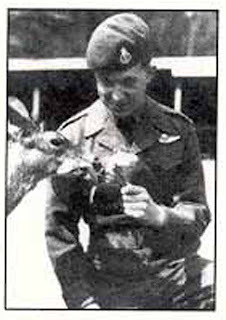 Pte Strachan of Virden served with the RCR. He died on 30 May 1951 at the age of 21 at Chail Li while carrying out wounded under the auspices of the Red Cross. He is commemorated at the United Nations Cemetery in Busan Korea. He was the son of Bill and Ina Strachan and was survied by four sisters and two brothers. His brother recalls (16 November 2001): Let was born and raised in the Virden area of Manitoba. He received his education in rural schools east of Virden. In his teen years, he worked on farms, when not in school. Driving tractors was his favourite job. He enjoyed sports and liked to hunt. He was very generous and good to his parents. The family moved to Kelowna, BC in 1945 where Les worked on a fruit ranch. He worked there until 1950 when the family moved to town. He took a job in a a juice factory but hated it and decided to join the special forces going to Korea. He trained at Petawawa for a short time and then was shipped to Fort Lewis, Washington. He liked it there and it was easy to get home on leave. He seemed to like army life. He went to Korea in April, 1951 and was killed May 30th while evacuating wounded. Strachan Island (53 E/16) in Island Lake was named after this Korean War casualty in 1998. 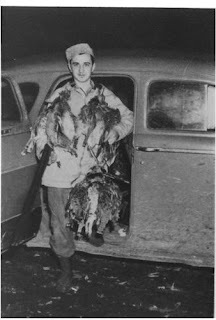 Charles Lorne Stowe was born June 17th, 1927 to Jack and Mabel Stowe of Miniota, Manitoba. He was their youngest son who grew up to be a hardworking, fun loving young man who enjoyed music, dances, sports and practical jokes. His winning smile charmed the young ladies and his easy going personality made him a favorite among his peers and co-workers. While Charlie's older brothers, Edwin and George were overseas taking part in World War II, Charlie remained at home to help with the family farm. When Edwin and George returned from the war, Charlie was eager to spread his wings and see the world around him. He tried his hand in the mining industry in northern Ontario and later headed north to Yellowknife for a time, then south to Alberta. Having been laid off from work, he decided to stop by a local pub in Forestburg, Alberta where he met Duke Elliot. I lived in Forestburg, Alberta and was working on the CNR when I got laid off. So I went to Forestburg Hotel for a beer to drown my sorrow. After a time, this good-looking lad came in and as there were only the two of us in there, he came over and introduced himself. As it turned out, he too had been laid off of the oil rigs where he had been working. Charlie had an old car and after a few beers, we decided to go to Edmonton to look for work. So after a week of looking, and what money we had was fast running out, it was decided we would go join the army. At least we would eat and have clothing etc. After joining, we were sent to Petawawa, Ontario where we went through basic training together. That is where we got to know one another. When we finished our basic training, we were then shipped out to Wainwright, Alberta. After we were there a while, a few of us were asked if we would like to go on an NCO's course, we both said yes. After a few days on the course, I got kicked off cause I couldn't stand their BS, but Charlie stayed on. It was at that time that we got split up. He finished the course and I was shipped out to Korea. I did not see Charlie again until he finished his training at Kara Mura Battle Training School in Japan. Charlie took his last leave before shipping out in July, 1952. He spent the time with his family in Miniota where he would say his last good-byes. His older sister Norma who had been a nurse during World War II, remembered the day she last saw him. She related this story to niece Kathy (Stowe) Meekins saying: "I was walking into Mom and Dad's house with my heart in my throat, fighting my emotions. Although Ed and George had returned safely from World War II, I felt very strongly that Charlie would not return to us. I was angry at him for wanting to go to Korea. When he left, I wanted to go after him. It was the last time I saw him." Perhaps Charlie had the same feeling, for his young nephew, John Stowe recalled that final farewell, saying that Charlie was in full uniform and when he said goodbye to everyone at the farm that day, he said he wouldn't likely be coming back. Indeed it would be his final goodbye fo his family. Charlie headed west to Vancouver, where on August 13th, 1952 he left the shores of Canada. He reached Korea on September 13th, 1952.
Letters home to his family were filled with stories of his experiences, some good, some bad. In one letter home he described the beauty of Korea and its people and noted that he would like to revisit Korea during peacetime and just be a tourist. It seemed he was in awe of its beauty. Charlie was a Private in 10 Platoon, D Company, 1RCR. The Platoon went to the position called Hill 355 on October 1st, 1952. The hill was known as Kwan-san, Little Gibraltar and The Gateway To Seoul. Anyone that held Hill 355 dominated the area. This was the site of some of the bloodiest battles of the Korean war. Platoon 10 was designated to the point position of the hill. They were closest to the Chinese Army. Charles was in No. 2 section under the command of Corporal John Kerr. Second in command was Lance Corporal Barney Rice. The platoon started with 38 men, but as the numbers dwindled, the remaining men were sent to the outpost more frequently, which none were eager to do. It was obvious the enemy was planning to attack Hill 355 as they constantly dropped mortars day and night in inflict what casualties they could. Charlie's oupost was called Vancouver. At about 9:30 PM, we were told that there was a large group of Chinese that was going to attack us. At 10 PM, all hell broke loose. They fired many rounds at Vancouver outpost; these men tried to fight their way back uphill to the main body of men. The men were screaming for help, but there was nothing you could do. Our officer told us to stay in our trenches and shoot Chinese. When I heard Charlie's voice, I went to him anyway, for which I got in trouble. But by the time I got Charlie in the trench, he was dead. And for my punishment, I was ordered to take a South Korean soldier and myself and carry Charlie down the back of the hill. The put him on a jeep and took him back to a Medic tent. That was the last I seen of my friend. 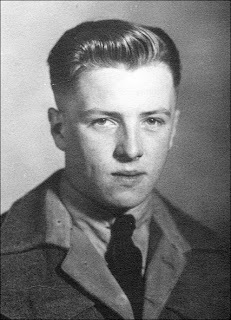 The young farm boy who joined the army and became a soldier on the 13th, left Canada on the 13th, arrived in Korea on the 13th, died there on October 13th, 1952. He was 25 years old. 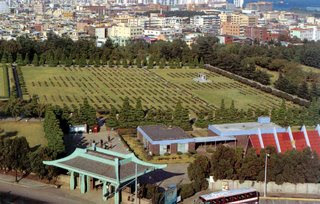 Charlie was buried in the United Nations cemetery overlooking the city of Pusan, Korea. Duke Elliott and John Worden have both returned to the cemetery to pay their respects to Charlie and the others they fought side by side with. Charlie's sisters Norma and Dora visited Charlie's gravesite also, and Norma took with her a small container filled with soil from the farm where he grew up. It was placed by his grave so that he might always have a piece of home with him. We, his family, remember Private Charles Lorne Stowe SM 17956. A cenotaph situated at the west end of the Miniota Park bears his name, so that we all remember him. I'm 75 now and don't write or spell good, so my wife re-writes my letters. I'm so happy they named a lake after Charlie, he earned it. 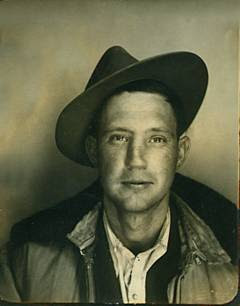 He was the kind of man that could put on a pair of coveralls and still look good. I'm proud to have known him (29 November 2001). SH 23473 Warrant Officer 2 TRENTER, George S.
WO 2 Trenter of Winnipeg served with the PPCLI. He died 11 October 191 and is commemorated at the United Nations Cemetery in Busan, South Korea. Trenter Lake (53 K/6), northeast of Sharpe Lake was named after this Korean War casualty in 1998. SB 154368 Gunner TRUTHWAITE, Murray A.
Gnr Truthwaite of Selkirk served with the Royal Canadian Artillery. He died 3 May 1953 and is commemorated at the United Nations Cemetery in Busan, South Korea. Truthwaite Lake (53 M/8), west of Richardson Lake was named after this Korean War casualty in 1998. 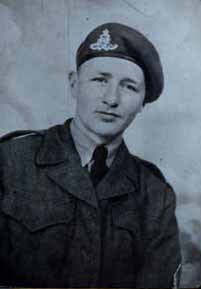 This photograph of Gunner Murray A. Truthwaite, 20, 81st Field Regiment, Royal Canadian Artillery, who was killed in action on May 3, 1953 on a feature of the Hill 187 complex in the Saimichon Valley. 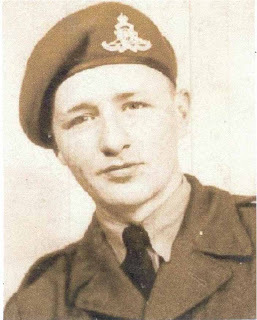 Gunner Truthwaite and his comrade, Gunner C. D. "Junior" Weir, of Windsor, Ontario, were both killed when their wireless bunker received a direct hit from an enemy shell. The enemy fired 1,000 shells in 15 minutes, then attacked three small features in great force. The Royal Canadian Regiment, which Gunner's Truthwaite and Weir were supporting, had many Korean troops intermingled with their own as "augmentation troops." SB 7611 Private WHITE, Ronald O.
Pte White of Winnipeg served with the Royal Canadian Regiment. He died 1 October 1952 and is commemorated at the United Nations Cemetery in Busan, South Korea. Ronald White Lake (53 N/16), south of Patch Lake was named after this Korean War casualty in 1998. Pte Wotton of Winnipeg served with the PPCLI. He died 25 April 1951 at the age of 21 and is commemorated at the United Nations Cemetery in Busan, South Korea. He was the youngest son of Reverend and Mrs. J.F. Wotton of Cardale, Manitoba. Wotton Bay (53 L/11) in Munro Lake was named after this Korean War casualty in 1998. Pte Wylie of Winnipeg, Manitoba served with the PPCLI. He died on 7 Mar 1951 and is commemorated in the United Nations Cemetery in Busan, Korea. Wylie Lake (53 E/15) in Island Lake was named after this Korean War casualty. Click here and listen to this beautiful song. Is a small but effective team of Veterans, has approached the United Nations Memorial Cemetery staff with an inquiry about installing grave markers for our Fallen Comrades; those who were killed in action on land or lost at sea and whose remains were never recovered for burial. Labels: It takes a lot of people to make things like this happen.